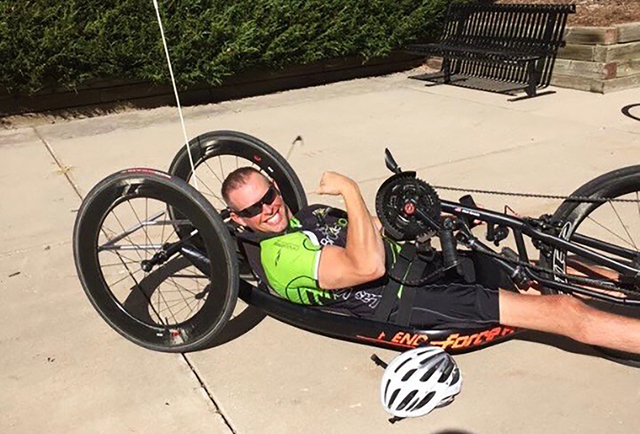 To prepare for the 2020 Paralympics, Las Vegas resident Chris Sproule trains one to three hours a day and competes in races throughout the country on weekends. He has a room full of trophies, and he plans to compete this May in the Para-cycling Road World Cup in Pietermaritzburg, South Africa. Chris Sproule, 39, is a single father of two daughters who has a job that he loves in Las Vegas. He’s also in the best physical shape of his life — even better, he said, than when he was playing championship soccer in high school and college. So why did Shawn Lane, owner of No Regrets Bar at 8349 W. Sunset Road, recently offer to host a number of fundraisers for him? She did it because she wanted to help him reach an ambitious goal: to compete in the 2020 Summer Olympics in Tokyo. Sproule’s story begins on Memorial Day weekend in 2003. He, several work friends and a guide were riding all-terrain vehicles to explore trails in Sevier County, Utah. At one turn, Sproule couldn’t see the trail through dust, and he and his ATV turned over into a ravine. His spine was severed and his back broken. One of his lungs collapsed, and two of his ribs shattered. Fortunately, Sproule’s riding companions were Las Vegas firefighters and paramedics. They used the ambulance equipment that came to the scene and stabilized Sproule’s injuries. Two hospitals and several helicopter and ambulance rides later, he was moved to University Medical Center in Las Vegas, where he spent a month and a half on life support. From Las Vegas, Sproule chose to continue his recovery at Rancho Los Amigos National Rehabilitation Center in Downey, Calif., near family members. What started out to be a one-month stay became six months due to medical setbacks requiring surgery. Sproule said his attitude during his recovery was not so much “Why me?” as “What do we do next?” His inspiration was his 6-month-old daughter who, he knew, needed her dad. Sproule was 26 at the time. 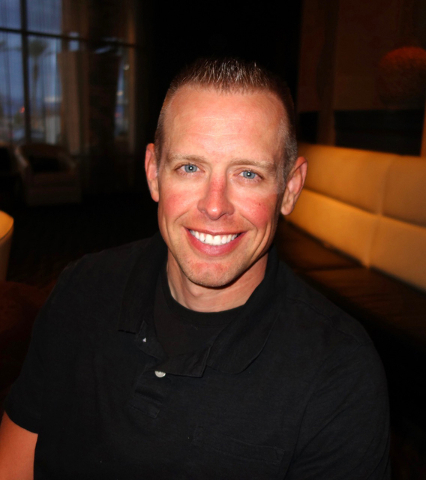 Though Sproule had a degree in public administration from San Diego State University, he had been a part-time firefighter during his college years and wanted to pursue that career after college. He was pleased when Las Vegas Fire & Rescue received his resume and offered him a job. He was in his fourth year as a firefighter, assigned to Station 1 in Las Vegas, when the accident occurred. After months of rehabilitation, Sproule could get in and out of a car, bathe and dress himself and operate a wheelchair. However, he could no longer physically perform his job as a firefighter. Las Vegas Fire & Rescue found him a new role as a dispatcher, taking 911 calls. The opportunity for a new assignment came when Sproule was offered a job helping to coordinate hospitals, police, fire and ambulances in the response to and management of any mass casualty incidents in the area. The job took advantage of his education and experience, but for good measure, he also completed his associate degree in fire technology, the National Preparedness Leadership Initiative program at Harvard University, and a master’s degree in crisis and emergency management at UNLV. He has been the chief coordinator for the Metropolitan Medical Response System program for 10 years. During that time, Sproule’s personal life changed: Another daughter was born, and he got divorced and discovered a leisure activity that has become a passion — racing with a three-wheeled cycle that he propels with his arms. 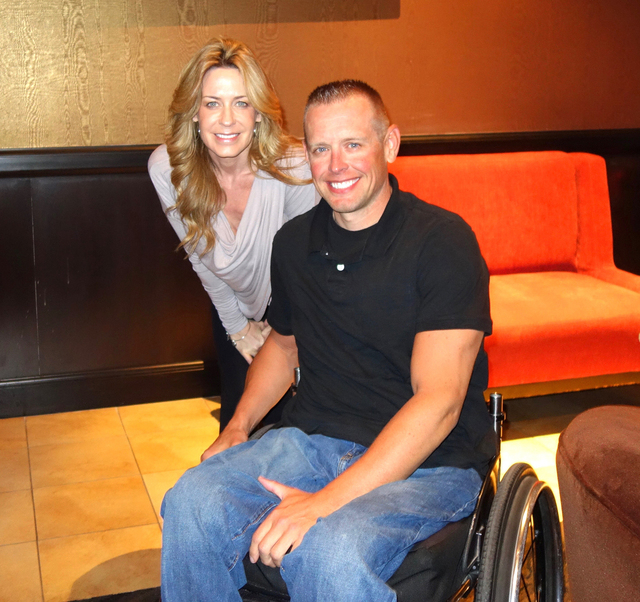 Sproule was given his first handcycle by the Darrell Gwynn Foundation, which was started by Gwynn, a champion drag racer, who was paralyzed in a racing accident in 1990. The foundation provides support for people with paralysis. The cycling also introduced an activity he could do with his daughters, Emma and Ella, who exercise with him. How good is Sproule on the handcycle? 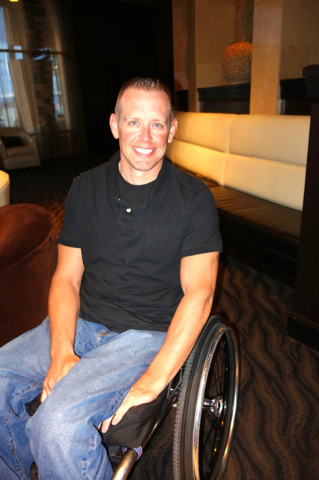 The United States Olympic Committee serves as the U.S. Paralympic Committee and has invited Sproule to several talent development camps where his skills are being groomed. To prepare for the 2020 Paralympics, Sproule trains one to three hours a day and competes in races throughout the country on weekends. He has a room full of trophies, and he plans to compete this May in the Para-cycling Road World Cup in Pietermaritzburg, South Africa. In addition to Lane’s fundraisers at No Regrets Bar, Sproule has established a GoFundMe page where contributions can be made. At the No Regrets Bar fundraisers, Lane positions assistants with computers around the bar so that, in addition to cash contributions, GoFundMe pledges can be made. Lane, the founder of Cheyenne Marketing, said that, throughout her career, she has been involved in local charitable activities. To help fund Chris Sproule’s Paralympics quest, visit gofundme.com/chrissprouleusa.